2P START! Live! : Just Sayin' Edition | 2P START! Ray and Tim help explain their mysterious “Now Boarding” comic, their questions about rap music, the future of DRM, and Ray learns of another terrible SegaCD game. Good podcast guys! 🙂 I’m happy for the explanation of the comic especially. The main reason I’m commenting, however, is that I finally finished all of the podcasts! I started a month or two ago, and I’m glad I finally got around to it. You wouldn’t believe how entertaining it is to hear how new segments were created, the numerous black doom awards, Ray’s voice cracking from time to time and Tim’s voice turning from a monotone to a semi-monotone. Thank you for all you guys do. We truly appreciate your work! so im just sitting here,starting to subscribe in itunes,then POP PODCAST WHEN YOU LEAST EXPECT IT!!! 1) Intro sound effect: sounds like it’s from Spelunky. 2) Starting with Off Topic? I was right about this being a Very Different Podcast. 3) I’m sure S&P 2 isn’t delayed in the UK. Not that I care, I’m just happy with Gunstar Heroes and Dynamite Headdy. 4) Comic Talk: I’m sure the music plays during New Year’s Eve on Animal Crossing Wild World. 5) Comic Talk: That answered nothing! 5.5) I think 2P START! might be turning into Blue Starlight Comics. 6) Lol at Ray’s impression of the “Achievment Unlocked” sound effect. 7) Black Doom Award: Which Mega Man music is that? 8) Black Doom Award: When I saw everyone commenting about the Final Fight DRM “IF I KNEW IT HAD DRM I WOULD HAVE NEVER BOUGHT THIS GAME”, all I could think of was Just Say No. Great podcast this week, guys. I’m loving how you guys explained the comic without really giving anything away, and the…mysterious voicemail from Jon Watts (at least that’s who I think it was) only adds to the intrigue! It kind of reminded me of the ominous messages at the end of the Metal Gear Solid games. When Ray mentioned “The Electric Game”, the first thing to come to my mind was the new Game and Watch they had pop up in Japan’s Club Nintendo. Ahahaha Tim, I busted up laughing the moment you ran straight for the ONE TIME GAG ONLY immediately around 11:43. 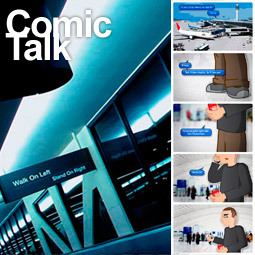 The Comic Talk in this section was a great laugh. Mwa!? Ahahahaha. Why did I laugh at that? It was fun, though. “Yo Ho” was interesting. It’s a bit lacking in gym whistle, though. That very last bit of the podcast was interesting. But I honestly have no idea what the person was saying. I distinctly heard something about congradulations and Ray though. Looked up Wild Woody… And I think I just killed my chances at even a moderately decent first impression as the first thing I got was about the Naughty Mermaid code. The second thing I found of it had a lot of sounds that sounded almost like it was ripped from Sonic Spinball. And then I stopped. It doesn’t look fun. I forgot the most important part of the comment! Nice Podcast Guys, and thanks for making it! Well, I was going to wait to ‘rise from my grave’ until after I had listened to all 122 podcasts, but given Ray’s advice in this episode, I will postpone (but not eliminate) that goal. Yes, I’m rising from my grave. I’ve only been reading/listening for about three weeks and I’ve enjoyed most everything I’ve read/heard. I look forward to being a regular commenter here. Okay, I’ve listened to absolutely all of them. Agreed with pretty much everything. GUYS.guys. guys. they OBVIOUSLY didnt do JUST a vague interview…theres got to be some HIDDEN DETAIL in the interview! QUICK.SOMEONE. take the interview clip and reverse it. ANOTHER SOMEONE. speed it up. SOMEONE WITH LOTS OF SOUND EDITING EQUIPMENT. mess with the volume bits. It’s not a perfect edit, but here’s a shortened clip that drops things down to just the comic talk. I have to get back to work. No offense, but, disappointing podcast. Just sayin’. anyway, with that out of the way..
Could you 2 have been invited to some event, like a webcomic E3 thing… could explain the sharp look (in the future), why you aren’t at home. Event’s somewhere you get to by a plane flight, since you are a good father, and husband, you tell the flight was good, no matter what, not to get her worried… just supposing. I’m probably way off anyway. Sorry for the rather off topic comment. I have an awesome comic idea for where this is going. It continues from Tim in the airport, coming to see Ray in Japan. Now, I tried to submit this earlier, but something screwed up, and everything was lost. It better work this time, and if it does, it will be amazing. Tim goes out of the airport and heads for Tokyo, where Ray is, by car. Ray has stolen his beanie and stolen all of his regular Dr. Pepper as a prank, which forces him into a weak state and makes him drink Diet Dr. Pepper to mantain his energy. He is very angry with Ray, and is going to tell him that he doesn’t want to work with someone like that, and will end 2P START!. But upon reaching Tokyo, Tim discovers Black Doom in a giant mech suit, destroying everything in sight. Tim scrambles everywhere to find Ray, and eventually sees him clutching his beanie in front of a destroyed Sega HQ, sobbing. Tim carries Ray, who is in hysteria, into the car, puts on his beanie, and is immediately rejuvinated. Tim drives them both far, far away, where they rest and Tim uses his iPod to loudly play Emerald Hill Zone from Sonic 2. Ray wakes up, and they both look for shelter. They find a shed filled with Dr. Pepper cans, and Tim stuffs all he can into his truck. While staying here, they meet Wild Woody and Ray the Squirrel. They all eventually realize that they are the only ones who can stop Black Doom, and drive to Tokyo to make things right. Halfway along, though, Tim’s engine runs out of gas. Tears in his eyes, Tim pours the remainder of his Dr. Pepper into the gas tank. The car becomes sorrounded by the 7 Chaos Emeralds, gains a golden glow, and flies them all to Tokyo. They find a wrecked city, with a giant looming black fortress in the middle, a huge HDTV playing Sonic ’06 in front of it. At the door to the fortress is a DRMonster, who refuses to let anyone in unless they are online on XBox Live, PlayStation Network, and Nintedo WiFi Connection simoultaneously. Ray picks up Woody and charges at it with Woody as a battering ram, knocking it over. Everyone but Woody rushes in, Woody insisting on guarding the door from anyone who might try to stop them with his immense attitude. They rush through the gloomy hallways covered in Shadow the Hedgehog posters, where they eventually reach a large gap in the hallway between them and the next door. Ray the Squirrel glides them across, lands them in safety, but falls through the hole before he can get there himself. Ray and Tim go on anyway, but immediately they find a malevolant presence in the next hallway…this is EMO RAY!! Emo Ray looks particularly evil with his flipped-down hair and spiky elbows, and tries to lure Ray into darkness by telling Ray to bask in the hate of Sonic 4, SEGA, and all else. Ray nearly succombs, his hair flip getting lower and lower, but snaps out at the last minute, engaging in a battle with his darker self. While Emo Ray has him pinned to the grimy, dark floor, Ray tells Tim to go on without him, and Tim is extremely reluctant, but eventually goes through the door to Black Doom’s personal headquarters, knowing he is doing the right thing. On the other end of the door, Black Doom is sitting upon his throne of 100 crushed Sonic fans, and he gets up to try to mind-control Tim. It works for a moment, but Tim breaks free, saying, “Nobody tells me what to do!”. Black Doom smacks Tim’s beanie away, reducing him to an old, frail, glasses-wearing man. Black Doom knocks Tim over, and closes in on him, while Tim scrambles to get to his beanie. He finally grabs it, places it firmly on his head, and stands up. He overpowers Black Doom, knocking him down, and pulls out his Musical Misflute. He plays Star City from Diddy Kong Racing, and Black Doom evaporates, his tower disapearing with him. Tim finds himself on the ground where the tower ued to be, with Ray, Ray the Squirrel and Wild Woody all with him. They go their seperate ways, Woody finding a new home in a 4th grader’s pencil bag, Ray the Squirrel taking up a job as a hangglider, and Tim and Ray go home, resolving to make comics and podcasts together for as long as they live, even if Ray never does find a girlfriend. Good lord, I feel like I just read the plot for a new Anime/Manga. Could make for a killer 90 minute movie….or 15 episodes if you’re going by Dragonball Z rules. *dun* 2P *dun* Start *dun* The Movie. Coming summer 2011. That, sir, was pure epic win. You desrve comment of the week and a pat on the back. But wait if you watch after the credits you see an alternate ending where wild Woody erases Black Doom and then grabs the mech suit and crushes The musical misflute. Tim then faints emo ray Does his black doom award and Wild woody Starts singing Yo ho and Ray and Tim lose their hearing. Wild Woody then gets sharpened until he’s no more. Must wait until tomorrow to watch this so I can watch it during car Ride. Can I do it? NPG; better-than-okay Podcast this week! The Electric Game is pretty fun. Though when Ray first brought that up, the first thing that came to my mind was DDR (with its techno-electronic music). Was I the only one who immediately recognized the airport logo (without any kind of research)? Maybe it’s just because I’ve visited Southeast Asia enough times to take it for granted and didn’t recognize it as a “subtle” hint (hence didn’t mention it in the comic comments earlier). I totally expected to hear a whistle randomly during that Wild Woody song. Good to see the podcast going in a humorous direction, plenty of laughter. 1. I wouldn’t worry so much about the term “I’m just sayin’.” Like anything, it has become annoying with overusage. I admit, I use it for humor, but only for humor. The terms that should receive attention for being annoying is the terms “Fail” and “Epic Fail.” First of all, usage of “fail” should be used properly – as in using it as a verb. The only time “fail” can be used as a noun is in stock exchange. Here, “fail” means “a stockbroker’s inability to deliver or receive security within the required time after sale or purchase.” (Taken from Dictionary.com. Sorry, I’m not by my dictionaries right now.) “Fail” was once used as a noun in the definition: “failure as to performance, occurrence, etc. ” However, this has been declared obsolete by numerous dictionaries. Are they trying to revive this definition? Does it even fit into most contexts? So, does this mean that if I fall down the stairs and someone says: “Hey, he fell down the stairs! Epic fail!” Are they really saying: “Hey, he fell down the stairs! Epic inability to deliver or receive security within the required time after sale or purchase!” Now, if someone can correct me, please do so. I just don’t get this whole “fail” trend. 2. Would of thought you guys would talk about rap music some more. I heard an awful, awful rap song that used samples from the song “Time of the Season” by The Zombies. I almost cried in public. I demand a new segment for a different Wild Woody song every week. You should just keep going with this , at least 3 more comics, then pull a Samurai Jack and don’t satisfy us and never refer to it ever again. ever. Also, I wanna be a Zombie. Braaaaaiiiiiiiinnnns and all that rot. And I wish I had Sonic in my area. MVC3!!!! That Wild Woody music… wow… just… wow. I’m not sure what else there is to say on the matter!! Oh man ominous voice at the end of the podcast. What is up with all this ominous stuff and the comic that you didn’t explain and wow and I am full of suspense! I have a couple Musical Misfits. One’s from Pokemon and one’s from de Blob (I thought there had been a de Blob one already, but I couldn’t find any in the archives). Yup, nothing sez Black Doom quite like a bunch of pirates insulting themselves to Turkey in the Straw. I still hope that you slip some smaller gags into these serious comics to help even them out. Thanks for making my comment the RFYG Comment of the Week! Now that I am almost done with classes, I finally have the time to RISE FROM MY GRAVE. I first discovered 2P Start when Matt from BitF did a guest strip for you guys. I didn’t start getting addicted to the site until podcast 117, though. Since then, I have read all of the comics, and have listened to all of the podcasts. From someone who used to make comics, I have to say that your comics are all impressive. Great job, guys! Black Doom Award: Wow. That song was awful. I have one, too. This just makes me feel sad for humanity. I too am interested in seeing where this comic idea is going. Sounds like you guys coordinated something interesting for the next week or two, so I’m looking forward to seeing how it pans out. Perhaps time paradoxes will ensue! Despite how connected we seem to be (internet-wise) these days, I’m still pretty disjoint from online gaming. While this is partially due to the fact that I’m a console gamer, I mostly blame my dorm’s network, which requires a password login everytime I want to surf the interwebs. My Wii has never gotten past that barricade. I’ll have to get my head back into the game once I’m out of here! 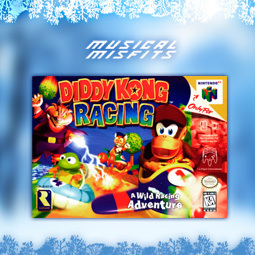 Hm, a musical misfit from Diddy Kong Racing…that game was crammed full of extremely catchy tunes. I swear, every time I pop that game back in, I walk away whistling songs from that game for the rest of the day, and then some. Clearly that music was meant to brainwash you into adding to playtime. I think the end part was either Eddie, Willi, most probably Jon or Jessica with a highly edited voice. No way, that has to be Charles Martinet. Cool the link works. 🙂 Yeah, it’s titled Dances with Smurfs where Cartman “Just says” a lot of false things about the student council president and everyone believes it because they are disregarding the “Just saying” part. 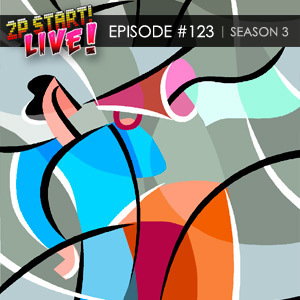 Ray’s use of clip art for the podcast cover needs to go. Like really really far away. 1. Just sayin’.. is a phrase born from people trying so hard not to offend anyone. Obviously, the internet has no trouble offending everyone all the time, so there’s not much of a point to saying “Just sayin'”. Either say it or not, no dancing around the issue. 2. Steam does DRM right. It seemed really restrictive at first, but after using for a while, it really is much better than everything else out there. You can also play the games you own offline. 3. DKR’s music rocks. All of it. – The only thing you can complain about with cow bells is there not being enough of them. – What about your homies Ray? Don’t you have homies? I’m just sayin’ you need some homies. – No offense, but your mother is a cow. Just sayin. – No one remembers Shake Your Tail Feather? That’s it, rampage time. – Ray is serious, don’t watch all the podcasts. I did, and it wasn’t horrible, but it took forever. – Still haven’t been acknowledged as a grave riser. Maybe I should stop mentioning it in the middle of huge blocks of podcast text. Otherwise, I may forever sit here covered in dirt saying random crap to everyone who passes by, thus creeping everyone out. – Good to know Tim will never drink diet soda. – Eh, I thought the sound effects were stupidly loud. – How did Tim not mention MvC3 earlier? That's pretty important news. – CURSE YOU DRM! Just sayin. – Future Ray is up against the lack of diagonal walking. – That song is just… I can only facepalm. – I was hoping one of the Black Doom awards was going to be about Microsoft saying people are terrified of buttons. Great podcast guys! I’m glad Tim doesn’t drink diet Dr Pepper, I was worried. And I’m glad Ray is a fan of the Blues Brothers. Apparently I can wait until tomorrow as of yesterday. Tim you forgot your comment of the week. Did Ray edit it out? I think I started a trend last week with the whole getting you guys distracted during comment of the week. Note: I think the mysterious voicemail from Anon ties in with this mystery. So, it’s around three to five years in the future. 2P START! was dissolved a year and a half previously. occasionally given input on the look and style of the Tim’s Take site. Due to the overwhelming success of Tim’s Take, Tim now has a college nest egg for both Lily and the boy Sarah is six months pregnant with. next time on 2P START! I just remembered, if there was a trend I could just wipe off the face of the Earth, it would be the “That’s what she said” jokes. They got old, and they’re disgusting. I don’t understand why everybody says it all the time! This is the first time I’ve listened to one of your podcasts, thought I’ve been reading the comic since the beginning of last summer. I’ve commented once on the comic (this week) and figured I’d “rise from my grade” now. By the way, I assume that this week’s comic was the beginning of a more story-themed arc that involves less jokes about video games and more about the characters that you guys have created in Tim and Ray. Can’t wait to see the new comic and I’ll be listening to the podcast regularly from now on. Keep up the good work. I laughed so hard the entire episode. So much funny, so little time. p.s. I have a name suggestion for the video game mystery section, how about CSI: Mushroom Kingdom? I say change the black doom awards to “Wild woody awards”. Seriously, Sega has incredible talent for coming up with crap. The thing that sticks out in my mind most about this podcast is ‘just sayin’. Ironically enough, I’ve actually picked this phrase up, but in my case it was from a very specific source: Dragon Ball Z Abridged. Because, you see, the line is a play on the Saiyan race from Dragon Ball Z, and… yeah. Anyway, I knew that Other M had been delayed, but I didn’t realize S+P2 had been delayed as well. Crap! I knew that lineup was too good to be true. Anyway, another great podcast, looking forward to next week! My favorite segment, Off Topic, is back! This is definitely one of your better podcasts, it was funny and Tim sounded much more enthusiastic then normal. The chime at the beginning sounds a bit like the one the rings when you start up a cartridge of Super Mario All Stars for the SNES. Next week must have a Black Doom associated with the free Sonic comic on Free Comic Book Day yesterday.